1. 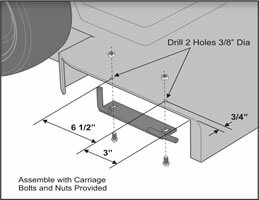 Assemble with carriage bolts and nuts provided. 2. 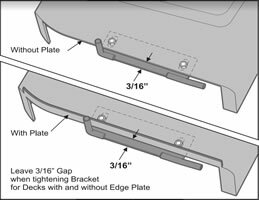 Leave 3/16i gap when tightening bracket. 3. 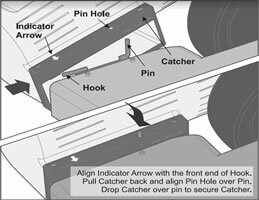 Align indicator arrow and bolt. Tip GrassCatcher forward and lower over hook. 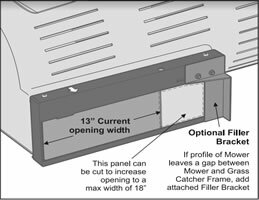 optional filler bracket is included.